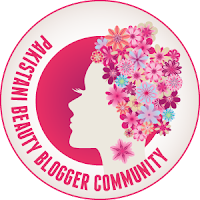 Every now and then we see new skincare trends and products emerging here and there, making huge claims and promising us the skin which we were not born with. And to top it off, celebrity endorsements heats up the game. Modern skincare products have evolved from a basic 3 steps of cleansing, toning and moisturising of epidermis. Now more products are added to the line. The main purpose remained the same which is moisturising and protecting the surface layer of skin from environmental elements and pre-mature ageing with the added benefit of treating skin deep down. I am very confident that we all must have several types of products in our skincare stashes by now, like creams, serums, oils or very light weight serum-texture creams/gels. However, all these products can be confusing and pretty intimidating. How to make them work for our skin is the most important question. And for that we must be aware of the correct order to use all these products for maximum benefit. If you don’t know the correct order, then you are just piling up the products over each other and not letting it to penetrate deep - resulting in congested skin. 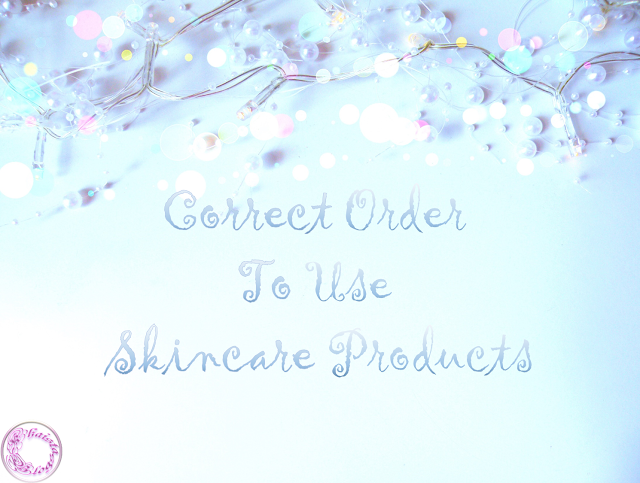 Today post is all about the correct order to use skincare products. Remember that the order I am explaining here is for daytime and night time altogether. But you can always add or subtract products to the order depending on the time of the day and what products you have/use at the moment and what works best for your skin. Before any skin pampering session, cleansing and toning is must to prep the skin for further treatment. Serum is very thin texture product with tiny molecular formula. Due to this the active ingredients penetrate deep into pores in comparison to traditional moisturiser. Most Serums are not oily but are more of light, watery texture so it is always recommended that apply serum when face is slightly damp with toner. That’s how it will spread evenly without tugging the skin. The best way to apply serum according to YSL skin experts, is to spread the product on fingers evenly and apply on face and neck with dabbing motion and then spread outwards rather than massaging it into the skin with circular motion. Always look for one which caters best your skin needs. 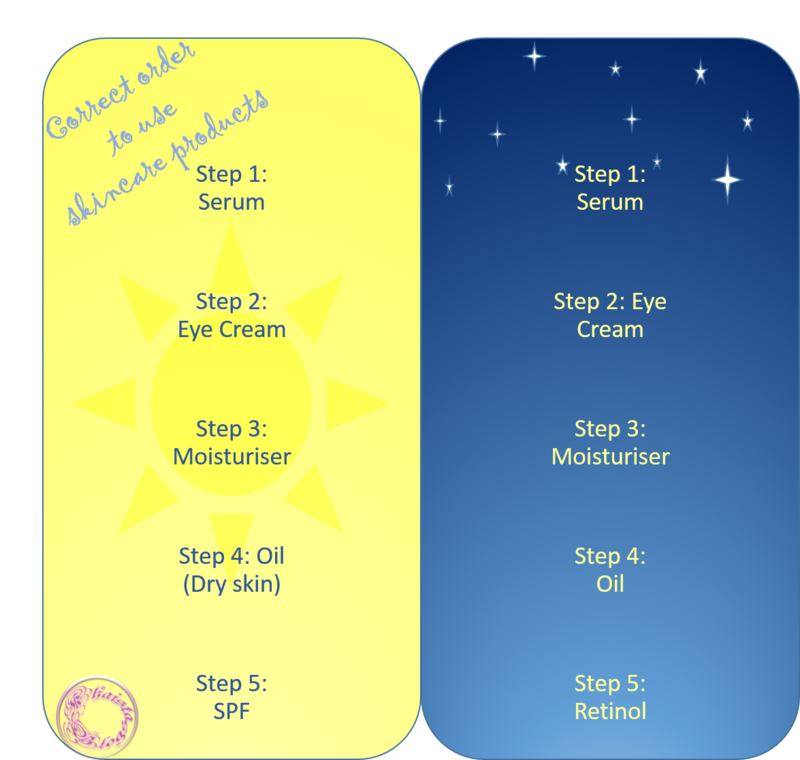 Eye cream has also a bit thinner texture as compare to moisturiser making it perfect to use on the delicate eye area. Always use a ring finger to apply eye cream because it is the weakest and you will add very less pressure without tugging and pulling the delicate skin. Always spread the product towards the temple and upwards to the eyebrows to lift the sagging eyelids. It will also help in draining the lymph fluid to de-puff eyes and minimise the appearance of eye bags. Now is the time to use our beloved product for centuries, the good Ol’ moisturiser. Never skip a moisturiser even if you have oily skin. Moisturiser locks all the goodness into the skin and creates a protective barrier. Massage the product in upward and outward motion ensuring minimum pressure. In summer, if you feel your skin is getting very oily at day time then you can omit moisturiser if you have already used serum. Sensitive skin can react occasionally to serums. To prevent that, apply a very thin layer of moisturiser before serum. My skin loves oils and I have oily skin. Oils help to plump and calm skin down. Also oil helps moisturiser to sink better. If you have oily skin but also experience sensitivity and dry patches, oil will help to recover skin from dryness. Dry skin beauties can use oil in the morning as well but for normal and combination to oily skin, I will recommend to use it at night. If you fancy, you can use oil after your treatments and retinol instead of using it before. If you are going out, then use SPF at this stage. Never use SPF before any other product because it acts as a shield for skin and it will never let other products to work properly due to its thicker formula. I experienced a severe reaction on my cheeks to retinol and Azelaic acid based products in the past because I was using them right after toner. Which led me to this whole research of what to use when and what products works best together. Retinol can be harsh on skin but providing a good base underneath, can lessen the drying and peeling effects whilst benefiting skin. Many people recommend to use such products right after serum. If your skin can tolerate than go for it otherwise, use after moisturiser and then follow with facial oils. Few pointers at the end I wanted to mention are, always work with thin layers of products if you are applying more than one product on your face. Because skin can absorb certain amount and the rest of product just sits on top. Let the first product absorb by the skin before heading to the next step. It sounds like a lot of work but once you get along with it, then the whole skincare regimen shall not take more than 5 minutes. I hope, I explained everything in a very simple manner. To further break down the whole post, I am also adding a flowchart at the end for your convenience. Pin it or print it for easy access. If you have any other question or suggestion, you can always leave it in the comment section below. Disclaimer: This post is reflecting my thoughts only, based on my experiences. I am not a skin expert. I always try to give my best opinion on every product I personally use. However, every product works differently on different skin type. I cannot guarantee that products I use will work the same for you. I'm a big fan of facial oil. I make my own with rose hip oil, argan oil and some frankincense essential oil in it. Rosehip oil is my must have. I also make a vit c serum with it. Such a nice product. Ah this is handy! I always get confused what order! seriously, it was confusing for me as well. Very.Informative post. My skin is dry and I love using oil at night. And it really helps a lot. Oils are best friend of dry skin. Glad you liked my post. I love reading about the routines of others! Thanks for sharing your to dos. Facial oils are really amazing for all skins, it helps to treat a lot of skin issues. Nice post.